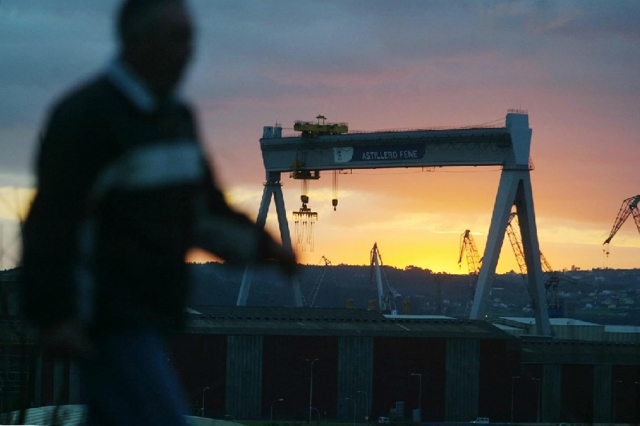 Image of the charismatic Astano navigation crane, Fene The shipping and naval industry are the hallmark of identity of the City of Fene (13,780 inhabitants). The shipping and naval industry are the hallmark of identity of the City of Fene (13,780 inhabitants). The bridge of As Pías is the cord that narrows the link to the neighbouring municipality of Ferrol. If you are traveling on the Camino de Santiago or are planning to do so soon, you should know that the distance separating Fene from Santiago de Compostela is 99 kilometers.